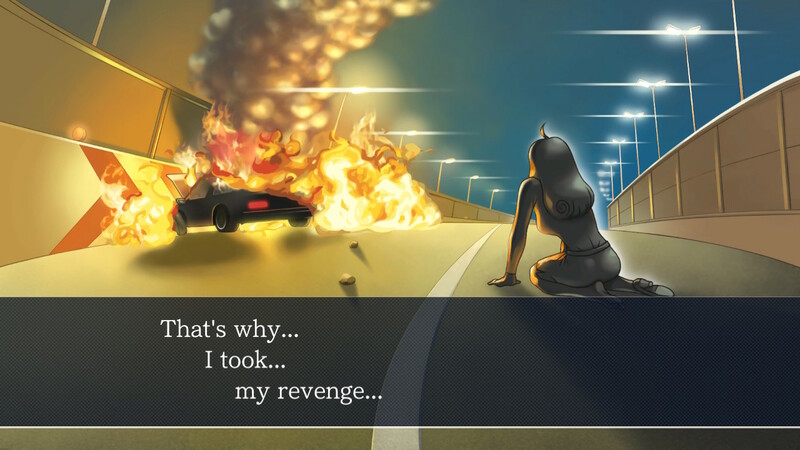 It’s not often that a game can make a debate over the date on a receipt into a matter of life and death, but that’s exactly the kind of storytelling that characterizes the Ace Attorney franchise. Making their first appearance in court all the way back in 2001 on the Game Boy Advance in Japan, the series of visual novel adventure games has made a name for itself for its iconic lines, twisting narratives, and memorable characters. 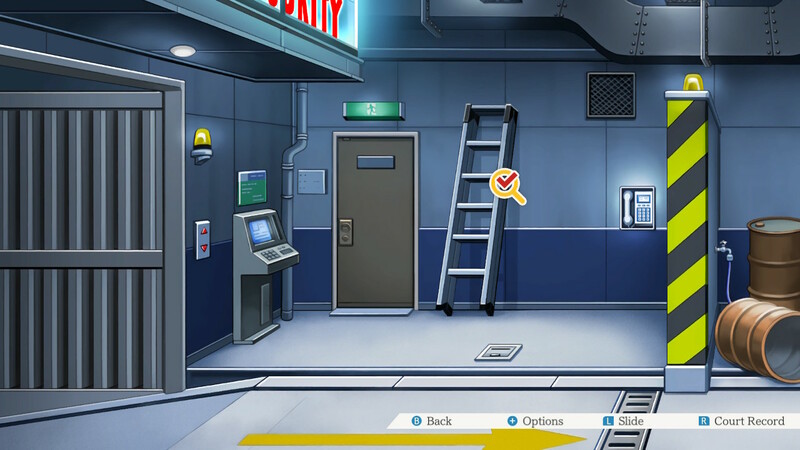 Capcom has now seen fit to bundle the first three entries into the Phoenix Wright: Ace Attorney Trilogy, marking the franchise’s debut on HD home consoles with a small handful of modern changes. 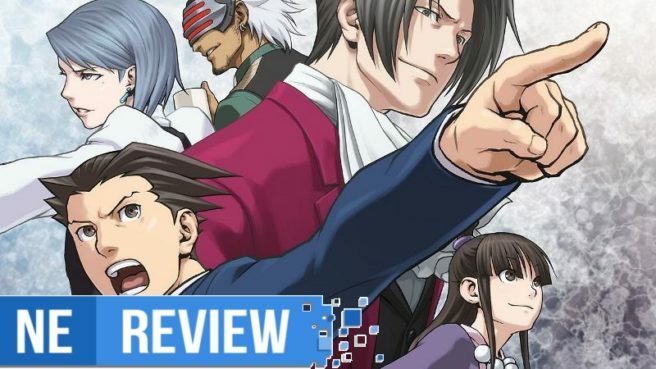 Of course, this begs the question: so many years after their initial releases, can the original Ace Attorney games still make a convincing case for themselves? Let’s commence our investigation and find out. 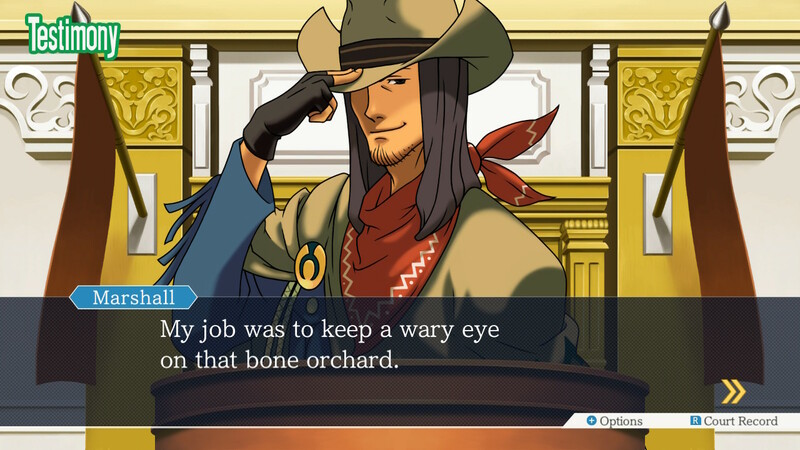 As with any good visual novel, the story is the primary focus of the Ace Attorney games. You are put in control of the spiky-haired defense attorney Phoenix Wright as he navigates through increasingly bizarre judicial adventures. Through a sequence of unforeseen events, he is plunged headfirst into many strange cases, defending innocent clients from nefarious prosecutors and lying witnesses. In all three games, he must gather evidence and clues to unravel the evil plots of his legal opponents and protect his clients. This simple plotline is developed in fascinating ways throughout the course of the trilogy, introducing new insights, backstory, and revelations about familiar characters and events throughout. The games’ characters are perhaps their greatest strengths. Phoenix himself is immediately likable, and his character exhibits impressive progression throughout the series. Through the course of the various titles, he overcomes numerous challenges to rise from a timid rookie attorney to a confident defendant, barely hesitating to slam his desk with fiery objections. The prosecutors and witnesses are just as memorable – and bizarre. They include a devious legal mastermind who will stop at nothing to declare Phoenix’s clients guilty, a young German prosecutor with a penchant for lashing a whip in the courtroom, a film director who speaks exclusively in mid-2000’s internet slang, and a mysterious caffeine-loving prosecutor clad in an electronic red visor. This is only a small selection of the delightfully outlandish figures who appear throughout the games. As interesting as the gameplay was, one of the biggest factors that kept me playing the trilogy was my eager anticipation to see what eccentric characters would appear next. All three entries share the same general gameplay, consisting of a constant loop between investigations and courtroom trials. During investigations, you will be presented with crime scenes and related environments which must be analyzed for clues and evidence to use in court. Think about classic point-and-click adventure games, and you’ll have a decent idea of the gameplay of the investigation sequences. You will also encounter and interview any potential suspects you may come across in your investigations. You’ll have to listen to all they have to say, and occasionally you’ll need to present them with the clues you’ve found in the environments. These become miniature puzzle sequences—deciding where to go, who to talk to and what evidence to present. These situations provide a wealth of enjoyable dialogue and intriguing situations, to be sure, but sometimes they felt like they dragged on for a bit too long. As enjoyable as they might be, they simply weren’t as gripping as the trial sequences. Trials are pure battles of wits. During testimonies, prosecutors and witnesses will pull all kinds of deception to paint your client as guilty, and it is your job to protect your client and expose every lie. You can pore over a witness’ testimony as much as you like during a cross examination, and as you do so, you are able to perform two primary actions. First, with a simple tap of the L button while reading a particular statement, you can press the witness for more information, hopefully pressuring them into slipping up and spilling hidden info. Your other option is to pick out pieces of a testimony that contradict the evidence that you’ve accumulated; if you can find a scenario like this, you need only press the X button to cut the lying “witnesses” short with a thundering “Objection!” Be careful, though: if you make an objection without valid evidence, you will be penalized, and being penalized too many times will result in a “Guilty” verdict for your client – game over. Yet if your objections can stand, be ready for the prosecutors to present devious comebacks and surprising revelations, turning the trial into all-out judicial warfare. These battles may be fought entirely through dialogue and evidence options, but that didn’t stop them from being as intense as any action game. Few things were as panic-inducing as scrambling to piece together a rebuttal to a prosecutor’s new claim, and watching the prosecution and witnesses break down with each successful objection was a sight of ultimate satisfaction. There were a few times when the game diminished this satisfaction by requiring obtuse logic to make objections; however, these were the exceptions, rather than the rule. For the vast majority of my playthrough, these trials were thrilling tests of quick thinking and perception. There are a handful of mechanical differences between the three games. The first entry, simply titled Phoenix Wright: Ace Attorney, is the most basic of the bunch, consisting of the core gameplay of discovering clues during investigations and presenting them during cross-examinations. Its sequel, Justice for All, introduces the ability to present individuals’ profiles during cross examinations, and also features the “Psyche Lock” mechanic, which lets you see when a witness is hiding information and gives you the opportunity to shatter their silence by presenting crushing evidence. The third game, Trials and Tribulations, doesn’t introduce too many notable new mechanics, but does continue to feature the Psyche Lock ability. Even though I thought the games themselves were great, I can’t shake the feeling that Capcom has missed an opportunity to improve them for the current generation. A few changes were made in this release, such as touch screen support for handheld mode and new HD visuals. However, while the touch screen functionality was appreciated, it felt imprecise and fidgety compared to using traditional buttons. Likewise, the inherent strengths of each title are let down by their barebones presentation in this specific release. The visuals have been completely redone in HD, and while the images look sharp on the Switch’s TV and handheld modes, the new art simply lacks the distinctive personality of the pixelated originals. It seems as if Capcom merely slapped an HD coat of paint on the original games without regard for their artistic integrity. The stilted character animations looked fine back on the GBA and DS, but they look choppy with the remastered visuals – new animations would have gone a long way to make the characters appear more fluid. Likewise, the sound could have undergone some modern improvements. The quality of the soundtrack is still reminiscent of the games’ origins on older Nintendo handhelds. The music remains fantastic at ramping up the suspense or intensity needed for each scene (the “Cornered” theme from the first game is just as heart-pounding as ever), but new remixes that increased sound quality or re-orchestrated it with live instruments would similarly have made the game feel livelier. Lastly, in such a text heavy game with so many memorable characters and lines, voice acting would have been appreciated. As it is now, the only voiced lines include the iconic callouts like “Objection!” and “Hold it!”, which are fine enough on their own, but voicing more lines of dialogue could have furthermore helped update the experience for 2019. The quality of this re-release’s additions may be debatable, but there’s no denying that it presents a fantastic value. For half the price of a AAA retail release, you’re getting three meaty, fully-featured games. It took me about fifteen hours to finish the first game alone, and you can expect a similar playtime for the other two titles. There may not be much to incentivize longtime Ace Attorney fans to pick up this Trilogy aside from the convenience of owning the games on yet another platform, but for series newcomers, it’s an affordable and easy gateway to the franchise. Despite my gripes with the lack of improvements that went into this release, it doesn’t change the fact that the core experience of the series is uniquely thrilling in ways that other series simply cannot provide. Nearly two decades after their first release, the Ace Attorney Trilogy is just as witty and exhilarating as ever. Perhaps the presentation doesn’t live up to its full potential, but when it comes to the core content, there are no objections here. Phoenix Wright: Ace Attorney Trilogy review copy provided by Capcom for the purposes of this review.